A preparation suitable for customised trace element supply: to support the functioning of the immune system and the organism’s resistance. The drug is used to cover the shortage of micro-and macro regulates metabolic processes. Beres Drops Plus contains water-soluble salt minerals and trace elements. - Zinc is an important component of several enzymes, including carboxypeptidase, oxidoreductase, transferase, alcohol dehydrogenase, plays an important role in the functioning of T-lymphocytes and is involved in the metabolism of lipids and proteins, have antioxidant and immunostimulating activity. - Iron is involved in erythropoiesis, consisting of hemoglobin delivers oxygen transport in tissue. - Fluoride is needed for mineralization of bones and teeth. - Copper participates in tissue respiration, blood, immune reactions. - Manganese influences the development of bone tissue, is involved in tissue respiration, immune reactions. - Molybdenum is involved in redox reactions, can act as an enzyme cofactor. - Vanadium contributes to a stable state of hemoglobin, participates in the processes of growth and reproductive function. - Nickel is an important element within the composition of biological systems. The action of the drug is the combined effect of its components, so the holding of the kinetic observations is not possible, all components together can not be traced with the help of markers or bioissledovany. For the same reason it is impossible to detect and metabolites of the drug. - The period of menstruation. With the preventive medication to prescribe a dose rate of 1 drop per 2 kg body weight per day. The daily dose is divided into 2 admission. The best effect is created within 6 weeks of continuous reception Capel Beres Plus. Since the purpose of treatment the drug is prescribed in a dose rate of 1 drop per 1 kg of body weight. The daily dose is divided into 3. Duration of therapy is determined by clinical efficacy. If necessary, may conduct repeated courses of therapy. Beres Drops Plus should be taken with food, along with 50-100 mg vitamin C and 50 ml of liquid (water, fruit juice, syrup, fruit tea). On the part of the digestive system: nausea, abdominal pain. Side effects are very rare, especially if the drops are taken on an empty stomach or with less than the recommended amount of liquid. - Hypersensitivity to the drug's components, metals. 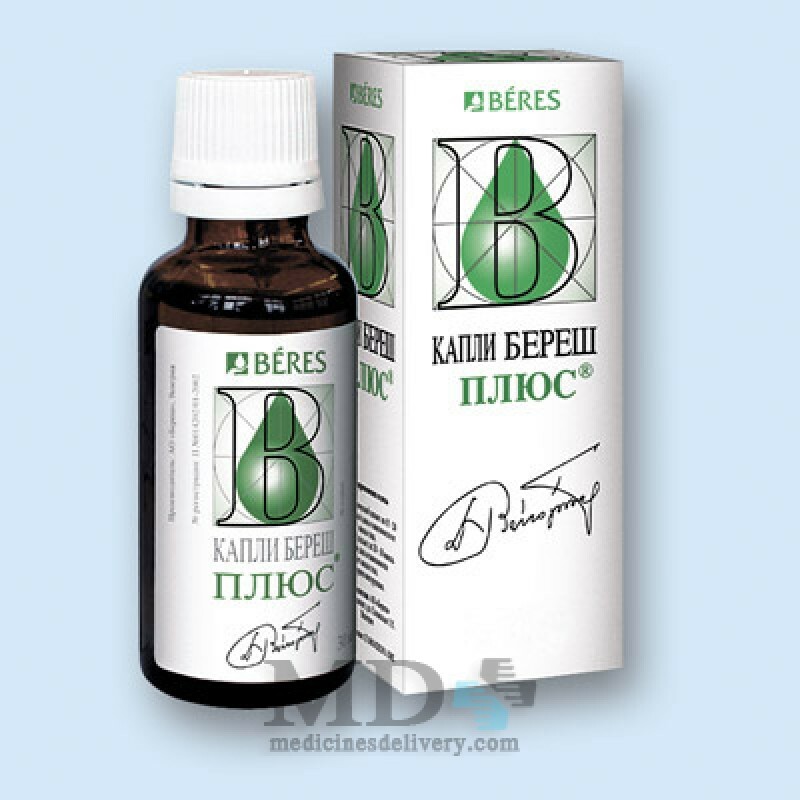 It is possible to use the drug Beres Drops Plus during pregnancy and lactation. Avoid simultaneous appointments with other preparations containing trace elements. Between admission Capel Beres Plus and other drugs should be an interval of at least 1 hour. Do not take this medicine with milk or coffee, as this worsens the absorption components. When adding the drug in the tea solution may darken. It is possible to eliminate the darkening of tea by adding lemon juice or ascorbic acid. The product does not contain carbohydrates, preservatives and artificial colors. It is possible to use the drug Beres Drops Plus for children weighing over 10 kg. 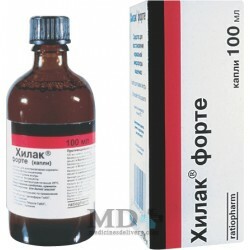 Required medical supervision in the appointment of the drug to children with body weight from 10 to 20 kg. Data on drug overdose Beres Drops Plus is not available. Data on drug interactions Beres Drops Plus is not available. The drug should be stored in the reach of children at a temperature of 15 ° to 25 ° C.
After opening the bottle of its contents should be used within 6 months. The drug is approved for use as a non-prescription medicines.